Solid action from 5:30 til 7:30. Whew. How great to live in Ten Sleep! This is sponsored by whom and for the support of what? The dinner is supported by the churches of Ten Sleep… The LDS bring pies. The Methodists, the salads. Etc. Once cost of meat is taken out, the proceeds are split 50/50 with ambulance and library. 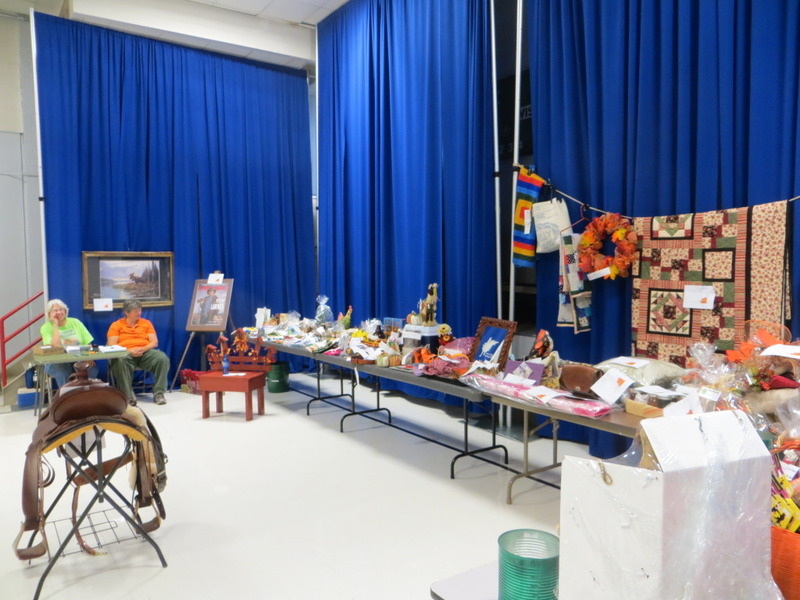 The raffle, the bucket raffle, the live auction are donated items with proceeds going to the Friends of the T. S. Library. It’s great! Oh what lovely autumn colors in the quilt. How lucky is the person who won that. I was going to bid on it, I loved the colors too, but it quickly left my budget behind!